Human beings tamed dogs a long time ago and since then, they have become valued and trusted companions. Today, dogs are easily the most popular pets that adopted by humans. They are a big responsibility, as they are animals and not as intelligent as humans. Your dog might be responsible for biting someone, and risks being declared as a ‘vicious’ dog, which has to be put down. This is a great concern to several pet owners. What Is A Vicious Dog? These are dogs that are officially labelled as a dangerous dog that can be harmful to society. It is common practice that all dogs that have been legally declared dangerous have to be put down, or euthanized. Dogs that are responsible for biting someone and causing injury to them tend to be slapped with this label. What to Do If your Dog bites Someone And You Are Being Sued? It can happen that your dog has bitten someone and you are now being sued for it. If something like this happens, the first thing you need to do is get yourself an attorney. 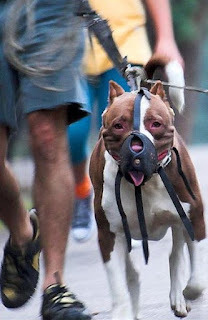 There are several dog bite defense attorney San Diego that can help with your legal defence. It is possible that your dog has been impounded then in this case, it is most important that you request a hearing date as soon as possible to give yourself time to convince the judge that your dog is capable of reforming and that you are a responsible guardian. Another important thing is getting your neighbours, and friends who know your dog to testify on your behalf. It is possible that your dog has been erroneously charged for biting someone, in which case it is advisable to get a witness who can testify to your dog being elsewhere. There are several defences that you might have to consider while preparing a defence for your dog. They are as follows. ● Was the dog provoked? : Provocation could be a stranger stepping on a dog’s tail or hugging a strange dog. Keep in mind that if the dog is known to have displayed violent behaviour in the past, this defence might not be the most advisable. ● Was The Person Aware Of The Risk Of Injury: A dog owner may avoid liability by proving that the injured person knew of the risk that going close to a dog was going to be and did it anyway, and thus absolve himself of any of the guilt. There have been precedents for judgements of this sort being made. A similar defence can be employed if a ‘Beware of Dog’ sign was posted and the victim ignored it. What If your dog has been ordered to be euthanized? ● Confinement to an area, such as a fence. Dogs are very precious to human beings. Following all the steps listed above can ensure that you don’t lose your dog because of an unfortunate incident.